I really just want to stay in bed today. A burger in one hand and my ipad in the other. A girl can only dream. I decided to draw something a little different today, and I kinda loooooove it! 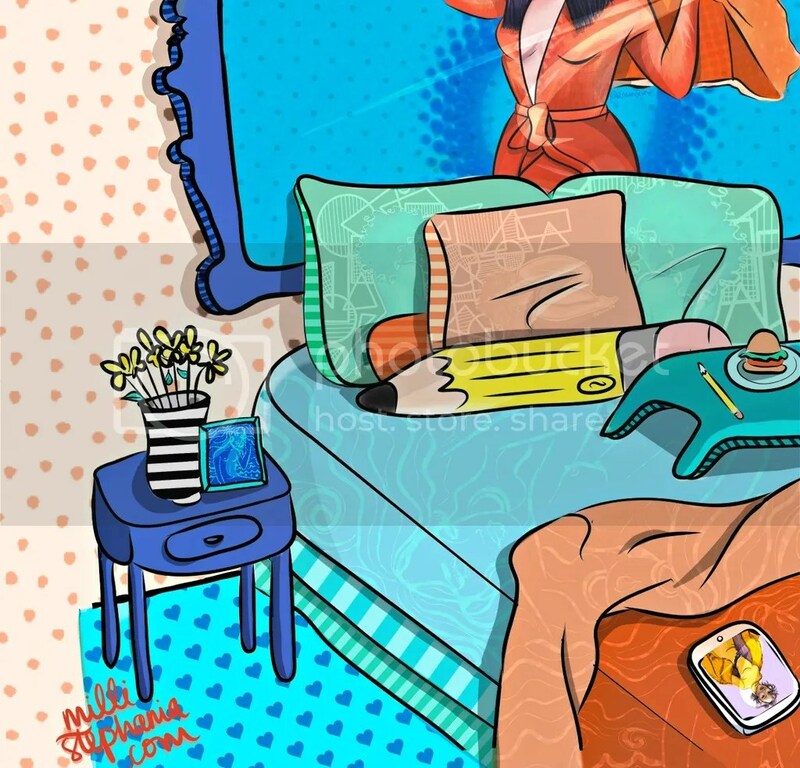 Tell me, how many of my previous illustrations can you find in this one pic?